Dr Besigye at the dock at Nakawa court. Courtesy. KAMPALA. 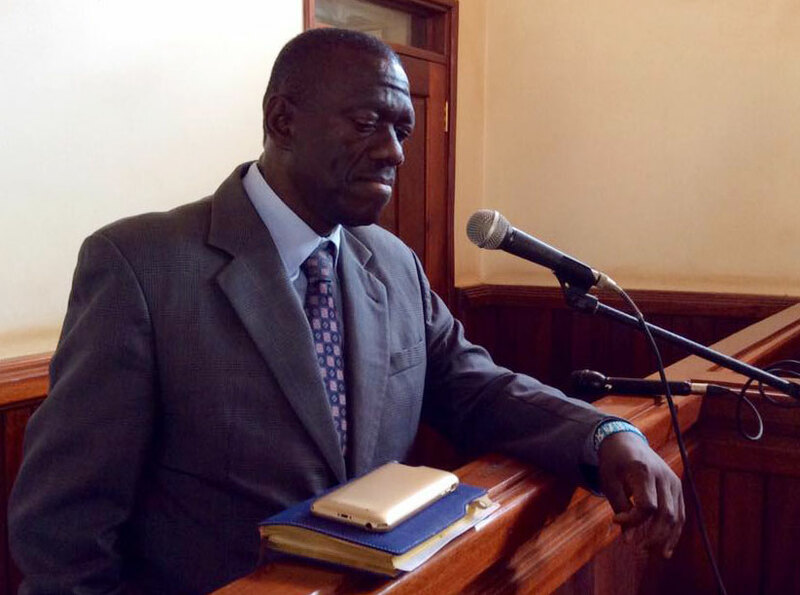 Former Presidential candidate Kizza Besigye has said he will not return to Nakawa Chief Magistrate’s Court for bail hearing. Dr Besigye announced he had taken the drastic measure after yet another court appearance followed similar partner as the previous ones with the court adjourning the case to September 1. “From today I will not come back to Nakawa Magistrate’s Court for appearance or for bail. I will not appear in this court on September 1 ” Dr Besigye said. In January, a frustrated Dr Besigye vowed not to return to the court for mention of his treason case, saying the prosecution was playing ping pong to delay his committal to the High Court for trial. He said the endless trips to the magistrate’s court were draining him physically and financially. “I would like to respectfully request to inform court that I will not be able to come back over this matter. 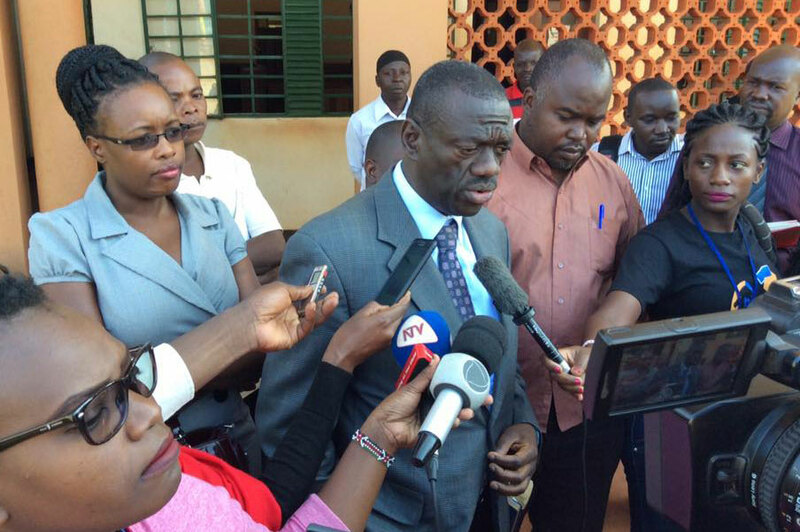 When they (State) complete investigations, I can be notified to appear in court,” Dr Besigye told the court. But in February, Nakawa Chief Magistrate’s Court issued criminal summons to Dr Besigye after State Attorney Rachael Nabwire took issues with Besigye’s no-show for mention of his treason case. Grade One Magistrate Noah Sajjabi had then issued the criminal summons to Besigye. The Opposition political figurehead’s court case stems from his defiance message to the public, with the prosecution alleging that between February 18 and May 11, 2016, Besigye, in various places in Wakiso and Kampala districts, incited the people to overthrow the Government. He was arrested and remanded to Luzira before being released on bail. However, since then, prosecution has been asking the court for an adjournment to a later date to enable them tie the loose ends in investigations whenever the court sits to either commit him to trial or look into his bail matter. More than a year since the State sanctioned treason charges against the opposition politician, the State attorney keeps appearing in court to ask for more time. Dr Besigye has always wondered what kind of evidence the state is looking for in order to incriminate him on grounds that he claimed to have won last year’s February 18 general elections. And, on Friday, he decided even the bail hearing will no longer be worth his time. “I think the time has come to also say no to the bail because it is the bail that was still bringing me here. 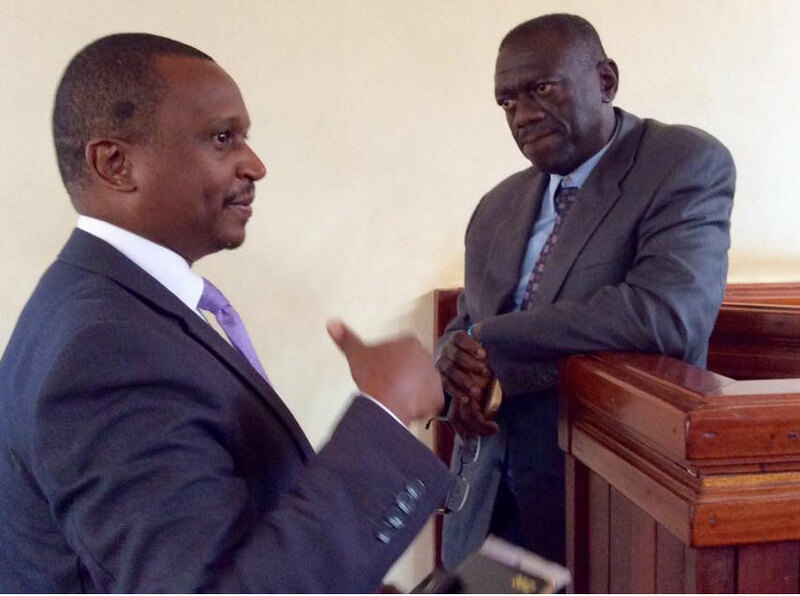 So I have informed my lawyer that I will not come back to this court over this matter. They can cancel the bail, I have no problem at all, they can cancel the bail and take me back to prison if that is their wish,” Besigye said.